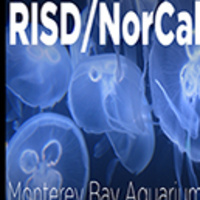 Join RISD/NorCal alumni on a field trip like no other: a behind-the-scenes peek of in-progress exhibit designs at the Monterey Bay Aquarium! Take a virtual tour via the design team's VR equipment while Senior Manager of Exhibitions Creative Services Bart Hays and Manager of Design Travis Wood 03 ID discuss how they use design to further the aquarium's mission to inspire conservation of the ocean. Afterwards, follow us to the aquarium to sketch or take photos of the inspirational sea life! Registration includes heavily discounted admission to the aquarium, courtesy of RISD Alumni Relations. Registration is extremely limited and non-refundable. Aquarium tickets will be distributed following the presentation at the design office. Please limit guests to ages 13 and up as we'll be touring some behind-the-scenes work areas and using specialized VR equipment.